Officials of the state backward classes welfare department held a meeting with representatives of four development boards at Falakata on Thursday and asked them to submit projects that could be taken up for socio-economic development of the communities they represent. There would also be projects for infrastructural development of areas where people of such communities live in north Bengal. S.K. Thade, the principal secretary of the BCW department, held the meeting with representatives of the Adivasi Development and Cultural Board, Namasudra Development Board, Rajbangshi Development and Cultural Board and the Terai Dooars Siliguri Development Board (for the Gorkha community), all of which were announced by chief minister Mamata Banerjee. The districts magistrates of Darjeeling, Jalpaiguri, Alipurduar and Cooch Behar, along with other officials, were also present at the meeting. “We told the boards’ representatives that funds have been allotted by the state. It is time for them to prepare project reports so that work can start in concerned areas. The chief minister wants socio-economic development of these communities as well as infrastructural development of their areas. This is where the boards should work in coordination with the administration,” said Thade after the meeting. The BCW has already allotted Rs. 10 crore for each of these four boards and the funds is to be utilised in the current fiscal, said sources. The move, observers said, is being seen as an attempt to use the boards to meet some of the demands raised by people of these communities, most of whom reside in the foothills of the Himalayas and in the adjoining districts. The north Bengal development department and agencies like the SJDA are taking up development projects across the region. “But it seems that the chief minister wants these boards to function properly and take up projects. 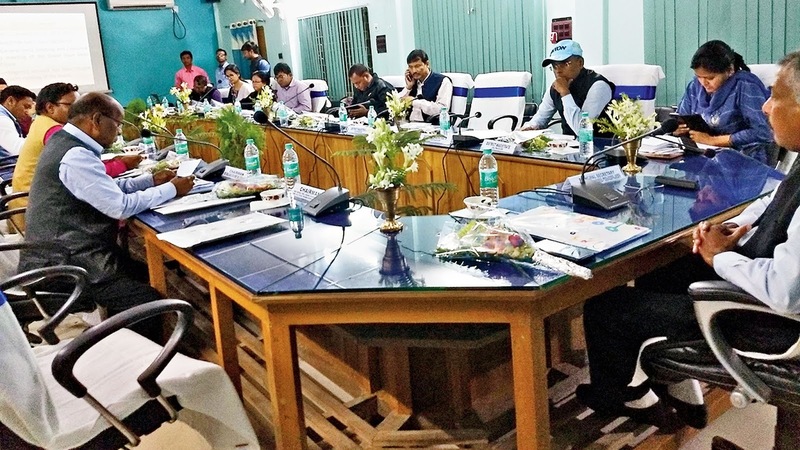 This would on one hand supplement the existing work taken up by the state and on the other hand, people of these communities will have a feeling that the boards formed for their development are serving their purposes,” said an observer. With the Lok Sabha elections ahead, consistent activities by these boards can help Trinamul in consolidating support from people belonging to tribal communities, from the Rajbanshis, Gorkhas and the Namasudras residing in these four districts.